While doing a little back to school shopping on Labor Day, I discovered a new children’s brand at the Palisades Mall. 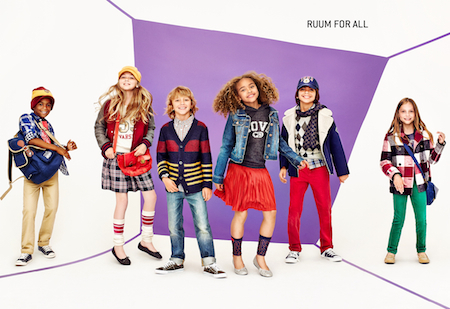 It’s called Ruum American Kid's Wear (pronounced “Room”), and I was instantly drawn to not only their store layout, but their cute clothes too! After a bit of research, I found out this kids line made its debut at the beginning of the year, and is based on American classics. Its sizes range from newborn up to age 14, and sized from 0 to XL. They’re prices are incredibly affordable which will make many parents happy, plus their store has cool features that the kids will love -- including fun fitting rooms, photo kiosks, and candy bar station. (Although, I’m not sure if it’s just for this particular store at the Palisades.) Either way I was very impressed with the brand and walked away with quite a few things for Arianna. Have you heard of RUUM? What are your thoughts on the clothes?